Speaking first to a press conference of student journalists and outside media outlets, Rather underscored the importance of "boots on the ground" reporting and physically witnesses history in the making while covering the news. 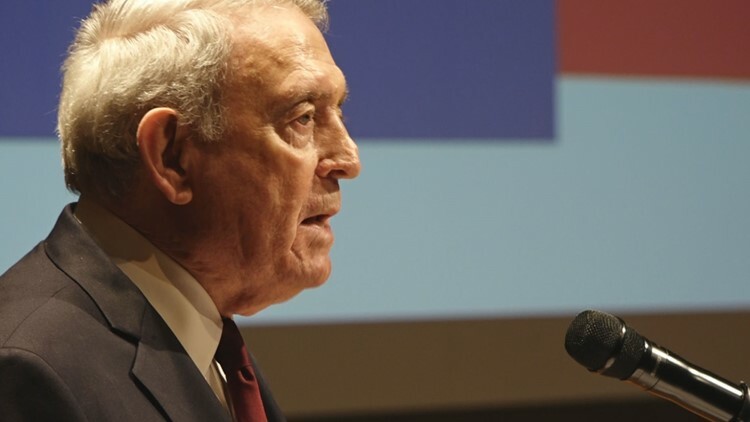 Dan Rather, a journalism icon and former CBS Evening News Anchor, spoke at his alma mater, Sam Houston State University in Huntsville, Thursday. He delivered remarks at the school's performing arts center on his new book, What Unites Us, and gave his reactions to the current political situation. 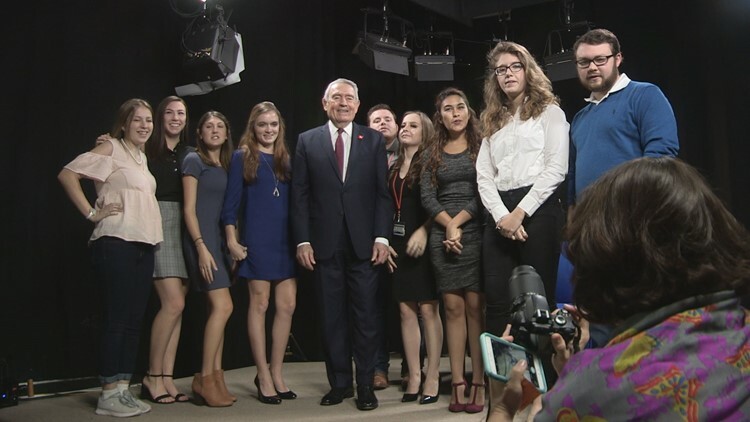 Speaking first to a press conference of student journalists and outside media outlets, Rather underscored the importance of “boots on the ground” reporting and physically witnesses history in the making while covering the news. He also discusses the challenges facing today’s reporters, comparing them to the challenges he faced reporting first for radio and television when it was in its infancy. On President Trump, Rather showed his characteristic candor, something he implored others to have when frequently signing off with “courage” on the CBS Evening News. Rather made sure to instill one final lesson, paraphrasing Edward R Murrow on the importance of using mass media (television, radio, the internet) for good, substantive reporting.